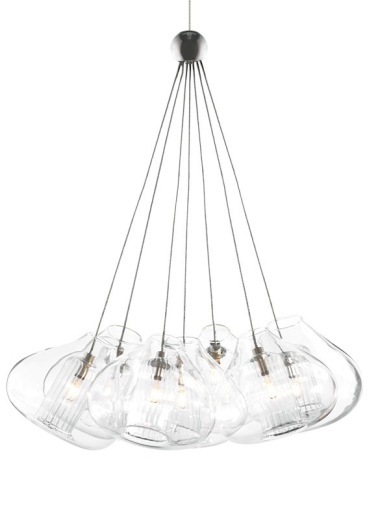 The Cheers Pendant from Tech Lighting is crafted with clear glass globes and a fused center tube. 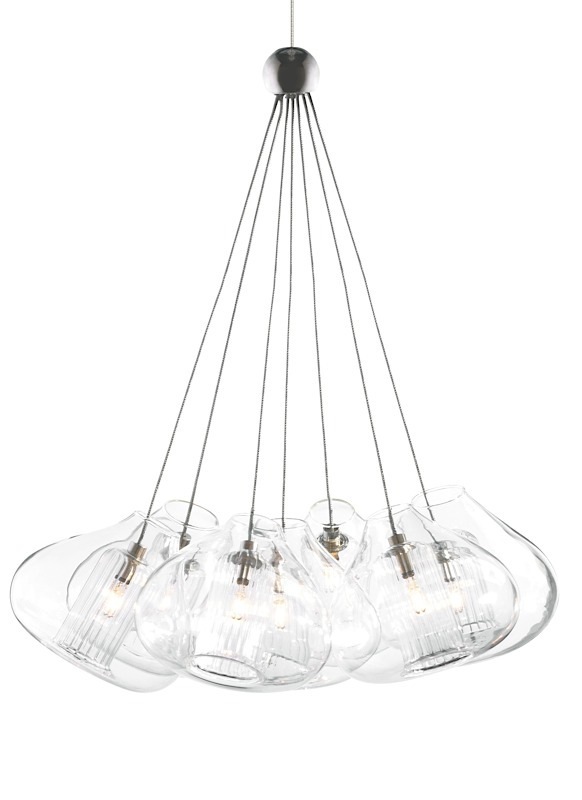 Seven beautiful glass bulbs are suspended from one central hub. This statement piece will look fabulous in your home. Includes includes one low-voltage, 10 watt xenon bi-pin lamp. Each include six feet of field-cuttable suspension cable. Select bronze, chrome or satin nickel finish. Satin nickel only shown.